GATR Works Announces new 3rd Generation "nanoFred G3" EOT/FRED kits. Slightly larger than the nanoFRED-R2, smaller than the ulf-R2. Uses single CR1220 battery and holder, half of the R2. Useful battery life of 80 hours, twice that of the R2. GATR Works is pleased to announce the availability of the new “nanoFRED G3” battery powered kits with new LED, slightly larger than nanoFRED-R2, (.078" x .049" x .031"), single cell battery, 80 hour useful life. The new “nanoFRED G3” includes the G3 technology with slightly faster 80 blinks per minute blink rate, R2 blinks at 60 blinks per minute. 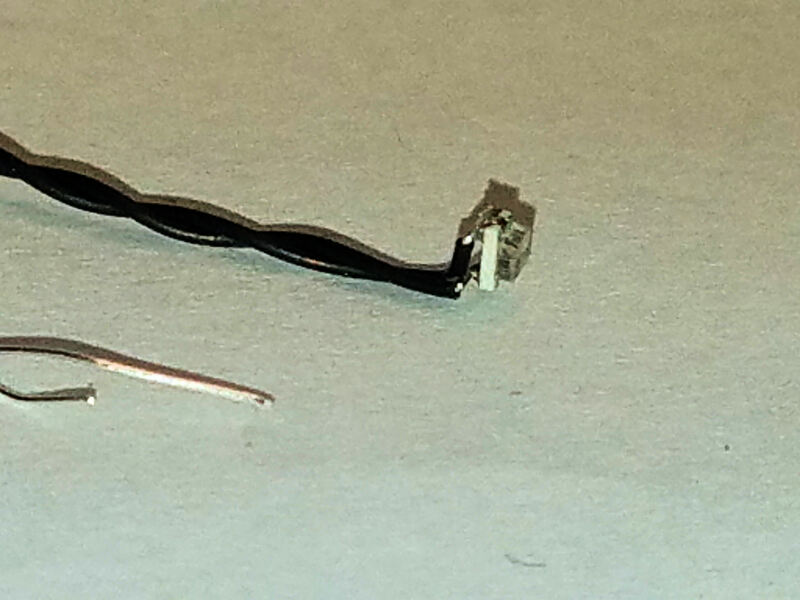 The new “nanoFRED G3” kits include a self-blinking surface mount LED (0805 packaging). One 3 volt coin cell battery and holder and a slide or reed switch. The model nf-G3-1s includes a 0805 surface mount blinking red LED measuring (.078" x .049" x .031"), slide witch, single CR1220 battery and battery holder (0.933" x 0.5" x 0.189"), this can be mounted on any N scale freight car body. 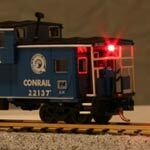 The model nf-G3-1smt includes a 0805 surface mount blinking red LED measuring (.078" x .049" x .031") mounted on a Micro-Trains body mount coupler (1015), slide witch, single CR1220 battery and battery holder (0.933" x 0.5" x 0.189"), this can be mounted on any N scale freight car that has a mounting pad for the 1015 coupler. The model nf-G3-1rs includes a 0805 surface mount blinking red LED measuring (.078" x .049" x .031"), magnetically latching reed switch, single CR1220 battery and battery holder (0.933" x 0.5" x 0.189"), this can be mounted on any N scale freight car body. The model nf-G3-1rsmt includes a 0805 surface mount blinking red LED measuring (.078" x .049" x .031") mounted on a Micro-Trains body mount coupler (1015), magnetically latching reed switch, single CR1220 battery and battery holder (0.933" x 0.5" x 0.189"), this can be mounted on any N scale freight car that has a mounting pad for the 1015 coupler. Q. What about the current R2 models? A. Parts for the R2 models are no longer available, thus the need for a Generation 3 FRED/EOT kit. The following R2 models are being discontinued, ulf-R2-1s, ulf-R2-1rs, ulf-R2-1smt, ulf-R2-1rsmt, nanoFRED-R2-1s, nanoFRED-R2-1rs, nanoFRED-R2-1rs and nanoFRED-R2-1rsmt. These kits are currently available in our ebay Store. 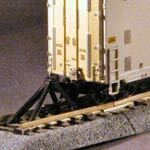 GATR Works is a family owned business that manufacture EOT's or FRED, End Of Train devices, Flashing Red End Device for model trains specializing in "N" scale. We also install them on cars for sale on Ebay. Click the link on the right to visit our Ebay Store.The company started in Southern California in 2002. GATR without the "O" is a combination of the first initials of the the Goyette family, Greg, Audra, Theresa and Rachael. We all enjoy model trains and rail fanning in the Kansas City metro area of Missouri and making FREDs is a family endeavor. What is a FRED/EOT? FRED stands for Flashing Red End of train Device, EOT stands for End Of Train device. In the mid 80's when the railroads stopped using cabooses, they still needed something to indicate the end of the train and so the FRED/EOT was born. 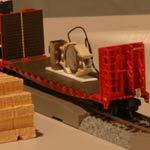 It is usually attached to the coupler of the last car in the consist. In addition to having the flashing light it also has a sensor to measure brake air pressure and a radio to send the information to the engineer in the lead locomotive. 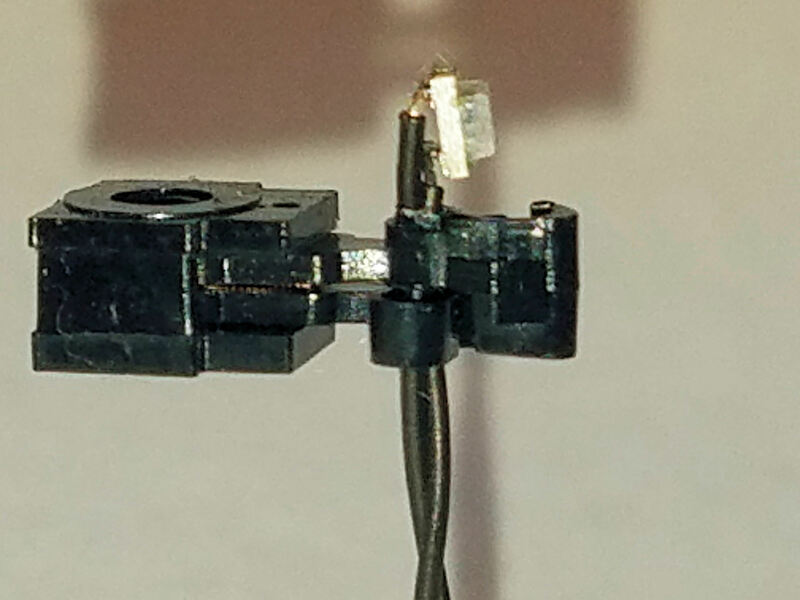 GATR Works also has a line of FRED/EOT kits that include a DCC decoder that run off of track power. Welcome to GATR Works home page. GATR Works is a family owned and operated business. Even our name is family oriented, GATR stands for Greg (the FRED guy), Audra (graphics, photography, web work, multimedia gal), Theresa (assistant to both of us), and Rachael (chief gofer and now webmaster). Because GATR Works is a family owned business, we care about our products and we strive to make the customer happy. We test every FRED* before it is packaged and sent out. If for any reason you receive a product that does not work as advertised, just let us know. We will strive to make you, the customer happy. If you have any ideas for new products, drop us a line and let us know. We are always interested in new ideas for our little blinking lights.